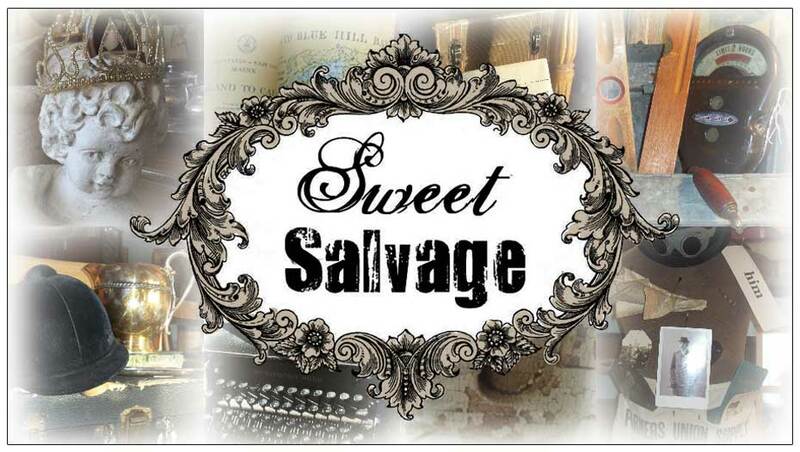 Please join us on Wednesday, September 17th from 6 to 8 pm, for an exclusive evening with the Sweet Gang. 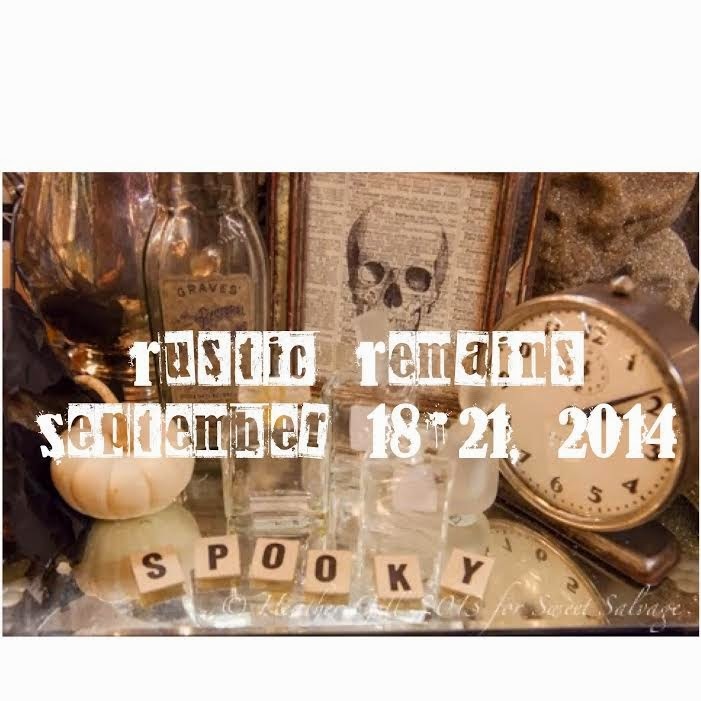 We are excited to announce September’s show, “Rustic Remains”. This over the top event will bring you the creepiness of Halloween and the beauty of Autumn treasures. You will view beautifully themed displays and have the opportunity to ask the designers questions about the vignettes and the stories that they tell. Enjoy our wine bar and hors d'oeuvres provided by our friends at Postinos. Live entertainment will be provided by The Jon Campbell Band. Tickets are available to the first 100 guests for $25. We accept Visa, MasterCard, AMEX and PayPal. You can still use your credit card when you register, even if you don't have PayPal. Email us if you have any questions. Come and experience the eve of "Sweet" before opening day Thursday. See the chandeliers glow, the vignettes twinkle and take in a deep breath of pure magic. Bring your camera and get ready for a night full of inspiration! It's the perfect way to spot your favorite treasures before anyone else. Window shopping is encouraged; unfortunately no merchandise purchases can be made prior to Thursday September 18th. Even the "Sweet Gang" can't buy until then! It's Party Time! 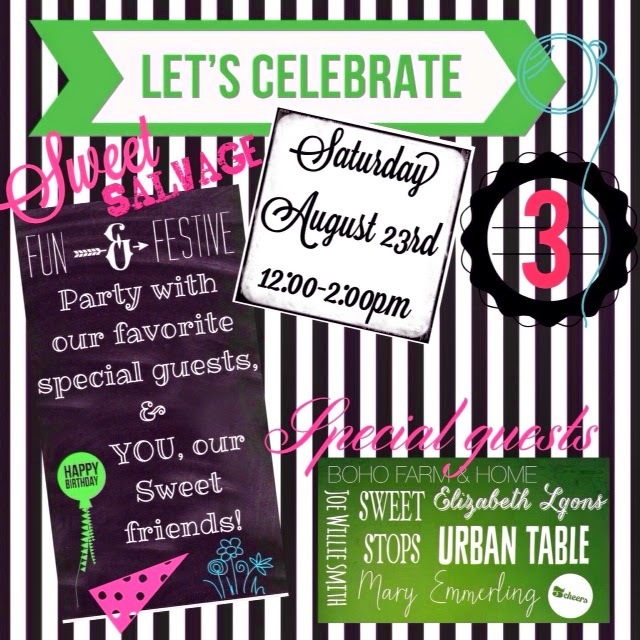 Please join the Sweet Gang this Saturday, August 23rd, for an afternoon filled with special guests, raffles and giveaways, tasty treats and as always, Sweet Salvage will be freshly stocked with all sorts of fabulous treasures waiting just for you.